The USA has left human rights council an 19th, June of 2018. In the speech Nikki Haley said that there are more resolutions against Israel than against Syria, Iran and North Korea additional. This fact is not acceptabel. The exit happens while protests against US migration politics. Children where segregated from their parents if they were catched on the border entering the country with their parents illegaly. But what is realy happening? The USA didn‘t ratify the human rights. So the USA have the same status like Iran, Saudi Arabia, Pakistan, North Korea or Somalia. Also China and India have the same status until now. So in fact nothing had happen. The declaratation of Nikki Haley confirms the fact that the USA don‘t recognize the Human Right‘s Charta. Perhaps United Nations should think about to stipulate for member states of human rights council to recognice all treaties of the human rights charta. If UN accepts only states which accepts the full Human Rights Charta UN could be aware of such „surprises“. Some critcs say, that the behavior of the US compromise the role of the USA fighting for democracy. Donald Trump say he protect the national security. What does he mean? The beginning of 2018 was a bad luck for the Chinese business. Two deals were blocked by the US government. The first was the aquisition of the Moneygram of the Alibaba-subsidery Ant Financial, the second was the deal of AT&T and Huawei. Later US government announced that the telekommunicationconglomerate should totally stop the communication with the smartphone producer because national security reasons. CFIUS is a US office that proves any acquisition o fa US company for security risks. Dealogic mentioned that CFIUS blocked nearly 30 Chinese acquisitions of US companies. CFIUS partly forbid the acquisition, partly it protract the process. That is as much as all the other G7 states blocked. But China bought 90 US companies in 2016. This is the fourfold of 2012. The USA and the EU complain about the situation that China blocked the chinese market for acquisitions and mergings with companies abroad and the lack of protection of intellectual property, while Chinese companies are buaing companies in EU market and USA for acquiring intellectual and technology advantages for their own companies. And the trade deficit didn‘t take some out of the situation. For the Chinese it will be no problem if the USA blocks some acquisitions, but the duties of Donald Trump force a reaction of the Chinese. There are many products the USA imports to China. So China can put duties on agricultural products or aeroplanes. Also EU is thinking about duties on US agricultural and other products. This could be very negative for US farmers. Duties on aeroplanes will be in the interest of China because Boeing could loose market shares. This would advantage the Chinese aviation industry. But all this stuff has to pay the customers of the goods. All this duties will increase prices and this will upport inflation. Steel and aluminium prices will increase if the plants will produce steel in the USA and this will endanger the aviation industry and the automobile producer also infrastructure projects and the wall to Mexico. But is it necessary to produce inflation? 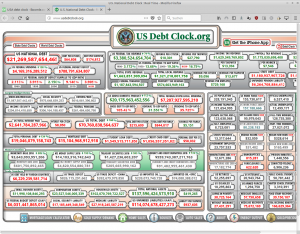 The US debt clock shows 212,562$ debt per citizen or 832,188$ per family, tendency is increasing steadily. Savings are 4534$ per family, means 1158$ per citizen. 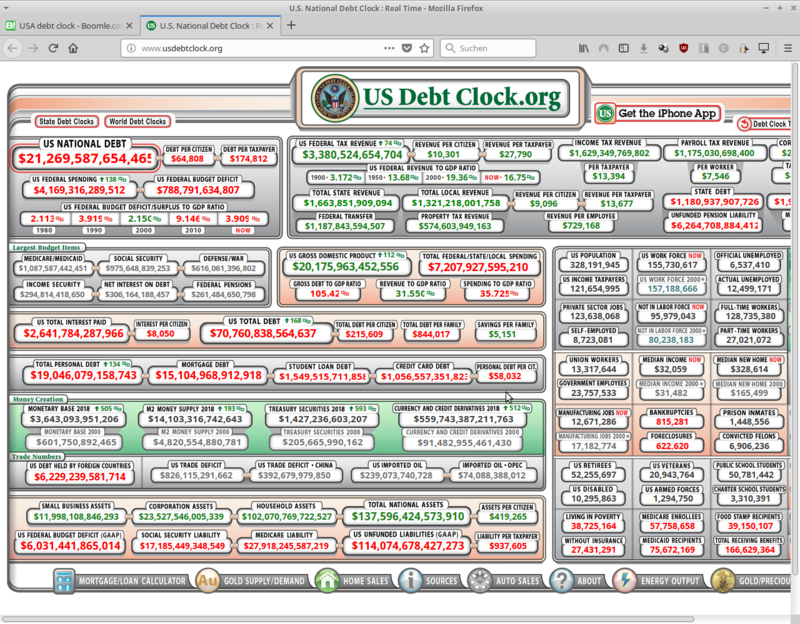 This is only state debt. Date is 03rd of march, 2018. As the picture below shows the USA put 78% taxes on price draw lotteries if the price will be paid immediately as one sum. This hint I found at a german powerball web site. Paying the price in 30 year rates the taxes will be 38%. are starting at 4.5%. A home equity loan is a type of second mortgage that lets you borrow money against the value of your home. The quarterly report aon household debt and credit shows steadily decreasing numbers of bankrupties and foreclosures, the transition in delinquency of student loans is very high steadily and of credit card debt is increasing sharply since the mid of 2017. Also the delinquency of mortgage is low, the sum o fmortgages and second mortgages could lead to a liquidity crisis like 2007. Balances on home equity lines of credit (HELOC) declined again, by $4 billion and now stand at $444 billion. If FED is raising the rates and economy is not accelerating the situation could change dramatically. Increasing prices for consumer goods will shrink the living standard of ordinary people while the rates of tjhe credits and mortgages are increasing. US Inflation decreases dramatically from 2011 to 2015 reaching a low of -0.2% in April 2015. In 2016 and 2017 it was stagnant at 2.1 % with a forecast of 2.2% in 2018. Unemployment rate was falling since 2010 and is stagnant since October 2017. Payroll employment increases by 313,000 in February; unemployment rate unchanged at 4.1%, so the Bureau of Labour Statistics on 15th of March 2018. As the table below shows the GDP growth of the major economic countries in the world is slowly. Inflation is very low in the leading economies this could induce stagflation. 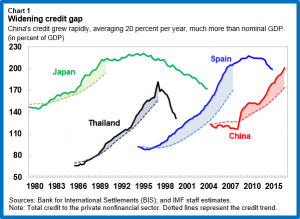 Raising rates for debt without a secure economic situation could bring about liquidity crisis. Higher Inflation is a weapon against stagflation, if the inflation is based on higher demand of the people means higher wages. Inflation with low wages will bear lower demand because the people can‘t buy the things they used to buy and that means poverty and instability with debt at risk and increasing delinquency. So, what does Pres. Donald Trump mean when he said, that he secures national security, when he put duties on steel and aluminium. What is the real condition of the economy of the USA, EU and the ehole world? Can USA deal with the private debt and mortgages? The high tech plants the USA will built will not have this big impact on labour market as the plants had in the past.Robot technology will produce many things without human beings and will increasingly spread in the service sector. What if the labour market will turn into a low wages market while the prices in the stores increase so the people will not have the money to pay their debt? What countries are the economic locomotives if China will find its continuous economic growth? Economics say India will follow if the production in China will be too expencive. But the production hub of China has floated the world for years and will do this also in the future. What products will be left for India? And what companies will built their plants in the USA? In India there are jobs people work for 0,30 US$ per hour. With that low wages in India the labour market in USA will be under pressure. But domestic market have to spur if the economy shold find traction. On census.gov, the United States Census Bureau, you will find the development of Trade between USA and China. The import-export-relation for the USA trading with China in 2017 was 4:1. This ratio is nearly constant since 1994. Only in the years around millenium the ratio was higher. A nearly equal import-export-relation is given in 1985, 30 years ago, a time China‘s economy was agricultural orientatet. But it is impossible to ignore China‘s development. Today eleven asian States sign a free trade agreement without the USA. The US trade with EU has nearly tripled since 1997, but US trade defizit has increased tenfold. This only happens, if domestic economy doesn‘t match customer‘s needs. No one will buy goods several thousands miles away with all risks of transport, if the goods will be available in same quality next door. So the citicens of the USA take advantage of the cheap prices of China and the high production standards of the EU. This will be deleted with protectionism. Trump say he will create new jobs in USA. This is possible if conglomerates transfer plants from abroad into the USA. But job losses in other countries will be the result, This will make it hard to colaborate and international trade will bemore difficult. That new plants really create jobs, that new technology, rationalisation creates new jobs is dobious. The result is mostly that rationalisation is a job killer. This means that the job balance will be nagative. This is an advantage for companies which closes plants of old standard outside of the USA to biuld new plants of new standards in the USA. The overhang of jobs in the administration and production will be deleted. Companies staff plants dependent on orders. If orders fail they react with job cuts. Automatisation will make unions impotent and workforce replaceable. If human workforce will be impotent companies can hire and fire as they demand. It is not enough to reform the taxes. With the reformation of duties it is possible to save jobs in the USA if the orders follow from domestic demand. But international orders can get lost. So to impose protectionistic duties is a very sensible instrument and has to be used with painstakingly analysis. Elon Musks wants to build up a plant in China to produce cars. The Chinese have a very complicated admission procedure. Elon Musk say, it is very unfair that companies can build up plants in the USA very fast while he is waiting in China for months. He asks Donald Trump, if he is thinking that the car producers should have the same conditions building plants in China as in the USA? Eleven asian states signed a free trade agreement without the USA on 9th of March 2018 and the EU threatens with duties on US products if Trump will not rethink the duties on steel, aluminium and cars from the EU. This is not advantageous for the USA. The President of the USA say he guarantees security of USA with the higher tax rates for aluminium and steel. What does he mean? Free trade is a leading economically doctrine of our society, no security risk. Investment: The assetts of the thermal imaging camera producer, FLIR Inc., are shooting from 33,00€ to 41,00€. Flir Systems Inc. designs, develops, manufactures, markets, and distributes thermal imaging systems, visible-light imaging systems, locator systems, measurement and diagnostic systems, and advanced threat detection systems. The products are used in industry, medical/life science, virtual and augmented reality, prosumer/entertainment, ITS/Traffic, security and surveillance, astrophotography, geo-informations-systems, people counting and tracking and case studies. The products apply to civil as to military use, are assembled in future technologies like the automatisation of vehicles and drones and can also be used by private persons with an application for the smart phones. Its automated pedestrian and animal detection alarms are very useful in cars today and will be very necessary in self driving cars. The revenue of third quarter 2017 is up to 15% yty and the third quarter adjusted operating income is up to 14% yty. Assetts are increasing since end of September 2017 from 33,00€ to 41,00€. At 03. of November, 8:35 o‘clock pm, the assetts are worth 40,10€ increasing slightly. With it‘s various usable cameras Flir has potential to find a big market to sell it‘s products. The assett could be a good investment. The US president reprove Germany for the trade deficit. Is this justified? The table below shows the trade of different goods of Germany and the USA. The import(/export ratio you can create with this data shows, that products like textiles, leather, goods made of wood, cork, laced goods are goods the USA imports to Germany. Germany imports tech-products like machines and cars to the USA. But if German companies match the customers needs of the US companies in high-tech-products, Then the US tech producers and developers have lost the contact to the world leading companies. So, if US president Donald Trump complains about his trade deficit, he has not to blame the Germans. 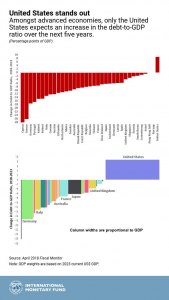 The trade deficit related to Germany is caused by machines first and automobile second. If Toyota, BMW or Daimler should produce in USA, this companies will import the means of production they knew and have tested in their homelands. Mergings like Fiat-Chrysler, a company where Chrysler learned how to produce comapct cars, make investments necessary in means of production. But, if Chrysler wants to produce compact cars like Fiat in Italy does, it is obvious they will import the proven means of production Fiat use in Italy. All these lead to increasing imports of machines to USA. Only the machine producers of the USA can remedy this problem. The USA is required to develop and produce the machines the producers of goods need if the USA want to force the producers to buy in the USA the machines they need for their production. Also the supply chains are international and highly fragmented. The commodities of a country are manufactured to a semi-finished product in another country. This semi-finished product is transported to a supplier in a third country who finished the product and delivered it to the producer in a fourth country, where it is finally assembled in the product like a car or aeroplane. Today, those plants, where the products are assembled are often in China. But the production line of this products are international. If the USA starts to impose taxes on cheap goods, the states of the supplier chain will follow to impose taxes by themself. This will only make the goods expensive, too expensive for those, who will find work because of Mr. Trumps protectionist politics. And too expensive for normal workers. The living standard for them will decrease. The table below shows that US president Trump create conflicts with his leading trading partners. He imposes taxes on Canadian soft wood, urges companies not to invest in Mexico and like to secure the border to Mexico with a wall endowed with electronical policing devices. He starts to impose taxes on Chinese goods and wants to impose taxes on European goods. Also USA left TPP, the free trade agreement with asian countries. In 2016 Chinese inventors file 1,010,406 patent applications followed from USA with 523,296 patent applications, and Japan 454,285 patent applications. Europe is fifth after South Korea. The table below shows the development of patent applications from 1883 to 2016. It looks like the Chinese will develop from emerging markets to high tech leadership. The biggest conference in Germany for institutional investors, „Value Intelligence“, happened in Munich this week. In this conference the institutional investors inform themselves about the possibilities to make revenue in the future and form their new strategies of their investments. Part of the attendees of the value intelligence are assecurances, banks, foundations, pensionfonds, family offices and parts of the press. Referents on this event were beside others Prof. Bruce Greenwald, Columbia Business School, New York and James Montier, GMO, London. Prof. Bruce Greenwald who former predicted that the Eurozone fall into pieces said, the Euro-Zone will exists in the future. But it would be an advantage for the poorer south states to divide from the richer north. Mr Montier doesn’t see any problem that the state adopt the debts of the crisis because the state can print money. So the state has not the same constraints like companies. The state could form it’s monetary policy more freely than the private economy. And therefore the national debt will be no problem for the economy. Systemic risk only exists in the private sector. 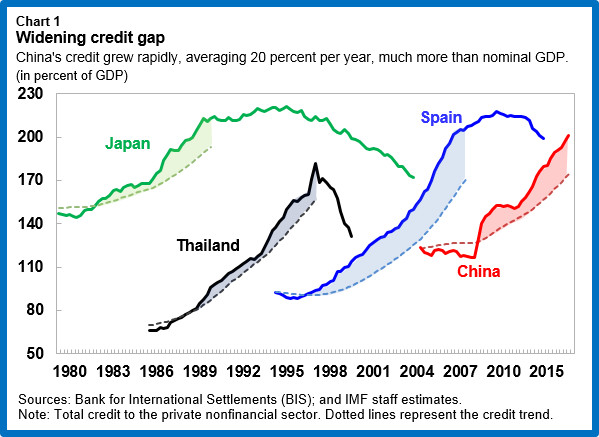 And Prof. Greenwald confirms that the debit for the creditors have been steadily decreased for the last years. For the states the decline of the debit was much more. So Japan, where the net debt is about 150% of the GDP has with a nominal rate of 0,5%, respectively 1% rate load effective, a real rate load of 1,5% of GDP. For Montier is the state debt of Japan no problem, as long the interest rate stay lowly. The national debt is more the result of the crisis than the crisis is the result of the national debt. The quantitative easing is an instrument to control the rates. It is not inevitable that quantitave easing produce inflation. In the sight of the institutional investors the central banks don’t print money. Quantitave Easing is a big programm to change long term national debt to short term reserves at the central banks and this is no process that generates inflation. The biggest problem is that there are countries which protect their industry sector. If they conserve their structure too aggressively they could face deflation and slowing growth. They are endeavoring to export their own problems and produce more financial inequalitiy. But the central banks can steer the rates to any level they want. If investors sell their treasuries the central bank buy them. The rate does not matter about that. They only have to obey the currency. That is a nice new doctrine. It may be right from the vantage point of the present of the instituional investors. But what about Greece, Ukraine, Italy or the USA. What about the bankrupt Cities like Detroit and states like California, the different cities and administrative districts in Amerika and Europe which are under rescue shield? NSA Spy Program allowed the NSA of USA to observe data traffic of humans, companies and other institutions, NGO’s or GO’s. Target, so the USA, is to find terror suspects which are planning terror attacks. So, the USA said, it will be possible to prevent deadly attacks on the people, institutions and companies. To make this perfect USA installed a fleet of airplanes which observe the intercontinental internet traffic. Now USA had failed to meet the deadline to extend the NSA Spy Programm which allows the USA to storage data of people indefinitely. Since today the storage of data by NSA is allowed only for the last 6 months. This is guilty only for US citizen. After the 6 months the NSA has to bring back the data to the internet provider, so the journalist at ARD, Germany. But what does this mean for all the non US-citizen abroad? And how long will the US providers storage the data?